1. You may only register with the e-mail you used to purchase (the one used in the payment registration form). As required by the contract, you will have created this email address with a service like Gmail, and it will be used exclusively for your contact with us, and your use of the product. After registration, contact me and I’ll manually give you access to the correct areas of the forum. If required, you can change the email address we have on file for you (contact us for details). 2. 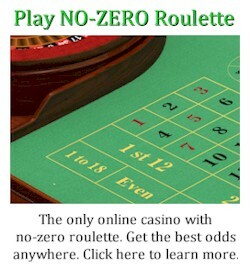 You may not discuss any part of the roulette system or roulette computers outside the forum (even with other members) without prior written consent from us. The forum is the only place discussions are permitted. This is for many reasons. One reason is if a player is banned, they are no longer privy to sensitive information or support, and they will have been banned from the forum. So no unauthorized player will be able to read anything on the forum. 3. Do NOT use a username that will identify who you are, or your location (especially private addresses). Only use a username that you’ve never used before. 4. Do NOT publish your e-mail address or any other contact details in the forum. On one occasion, a player disregarded this term, and he was then impersonated by a banned player to obtain his access codes. The player responsible for the breach was then banned too. The security measures are for everyone’s protection. 5. You must be civil to other members and behave appropriately, or you may be banned from the forum. If you are banned, you will still have access to critical services so you can continue to use the system. 6. Other members may also assist you, but generally the more experienced players don’t spend much time on the forum. So the active members of the forum are mostly players who are new, and/or are seeking support. Do NOT expect such players to help you or provide accurate advice – they may just confuse or unintentionally mislead you. 7. Do NOT reveal who you are, or any information that may be used to reveal your identity. 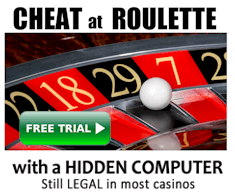 The gambling industry is full of malicious people who may not be acting in your best interests, which includes some of the other players. As an example of what has happened previously, we introduced two players to each other, both who claimed they wanted to form a team. 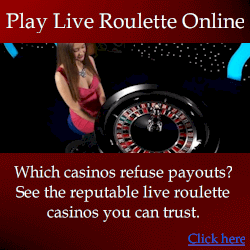 Then one player threatened the other and warned them not to play in “their” casino. Then our of spite, one player then released photos and private information to casinos that identified the other player. 8. Do not duplicate any of the material on the forum, or provide access codes to anyone else. Every access to the forum is logged. 9. If you have intentions of meeting with other players for the purposes of forming a team, you may reveal your general location, but never reveal your residential address. Minimal private information should only be released when absolutely necessary, and before you do so, ask me about particular members for advice if they are suitable for your requirements. You should never reveal any private information such as addresses or private phone numbers. This is because if relationships turn bad, known information may be used against you. Always use a fake name. Expect partners to also use a fake name. Previous disasters could have been avoided if players never used their real names.